Results Equine Therapy offers mobile therapy services to the Greater Aiken equestrian community; all disciplines and all levels. Results Equine Therapy offers mobile therapy services to the Greater Aiken equestrian community; all disciplines and all levels. Our sports and rehabilitation therapies include laser therapy, therapeutic ultrasound, electrical stimulation, cold therapy, massage, stretching and exercise therapy. Results Equine Therapy can meet you at your barn or at a show. We are completely mobile and require only a safe place to work and an electrical outlet. A clean, dry horse is also appreciated. It is not necessary for owners, trainers or handlers to be present for every therapy session, but a lot can be learned from the explanations from the therapist and the reactions of your horse during treatment. A full, detailed write up of findings by RET, treatments, and recommendations will be provided. 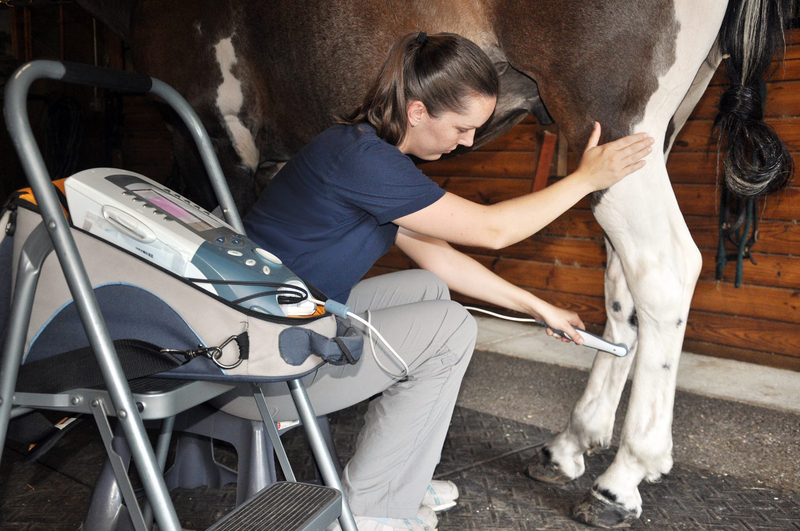 Our therapies accompany the care of your veterinarian, farrier, trainer, chiropractor and other care providers and RET is happy to collaborate with them to overcome an issue. Therapeutic Ultrasound is used for both acute and chronic issues that need intense, concentrated stimulation. Ultrasound waves flow together in a parallel stream and are able travel into soft tissues; skin, muscle, tendons, ligaments and joint capsules. The micro-vibrations and deep heat created by these waves stimulate cells to work more quickly and efficiently while also increasing circulation of blood and lymph. Ultrasound helps to decrease inflammation, reduce healing time, promote relaxation, and aids in recovery from both chronic and acute injuries. 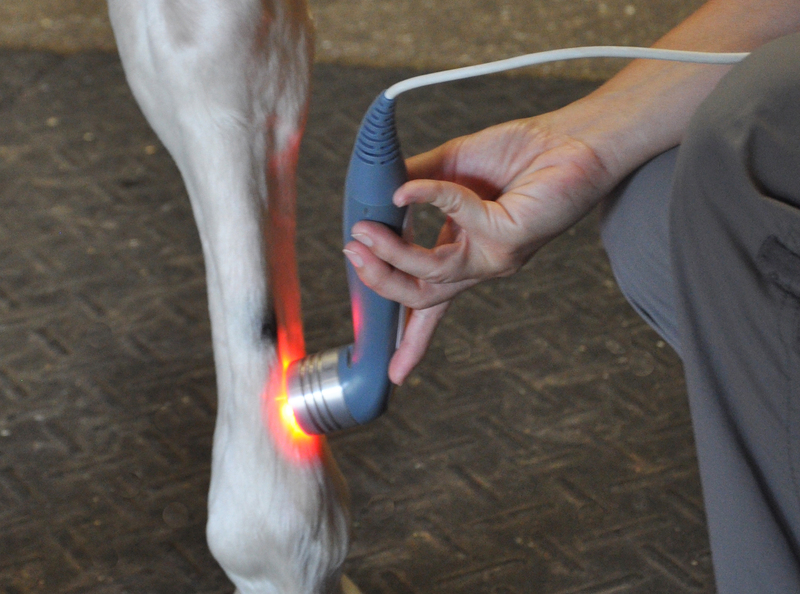 Results Equine Therapy employs two types of photon (light) therapy; a class 3B Laser (LLLT) and therapeutic light pads. The Laser penetrates tissues without scattering or losing intensity, making it perfect for specific muscle body stimulation and wound healing. The therapeutic light pads deliver more ambient light, spreading therapeutic light waves in all directions. This therapy is used for larger areas such as muscle soreness in the back or a swollen leg. Laser therapy stimulates the healing process by energizing cells to help increase repair activity and encouraging the natural process of removing waste from the body, and activating lymphocytes (white blood cells). It also reduces pain from both surface wounds and deeper muscle soreness. Electrical stimulation (E-stim) is an incredibly versatile therapy; ranging from muscle relaxation to strength building. Horses react amazingly well to E-stim because it immediately cancels out the pain they are feeling in the focus area and allows the horse to relax. The stimulation not only works the muscles, keeping them healthy and primed for return to exercise, but increases circulation of blood and lymph which helps to repair injured tissues and remove toxins. 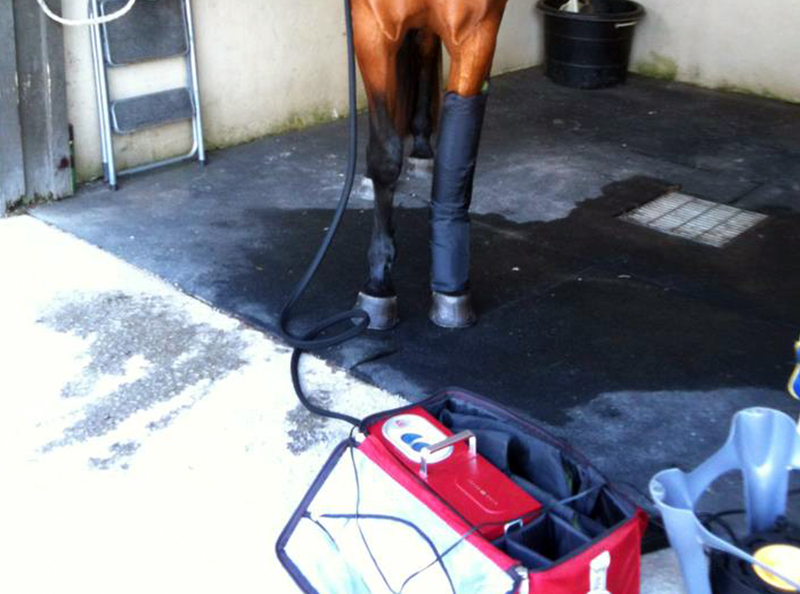 Using electrical stimulation before a competition helps a horse feel supple and willing to engage. Using it after competition prevents muscle damage that is caused by a build-up of metabolic waste products; reducing muscle soreness and recovery time. Cold therapy should be applied at the time of injury, if possible, to help reduce effects of inflammatory reaction. Cold constricts blood vessels and reduces the metabolism of cells; diminishing the release of chemical mediators that would otherwise increase pain response and damage surrounding cells. 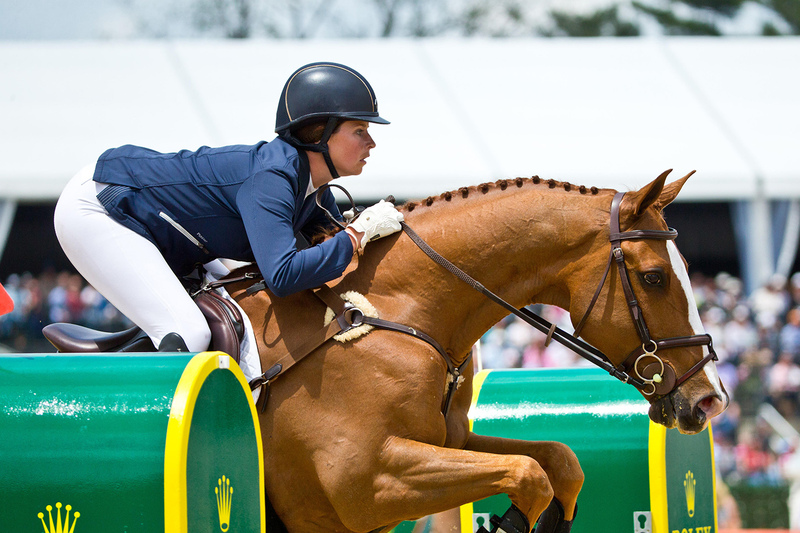 Results Equine Therapy utilizes The Game Ready Equine System to treat acute leg injuries and as preventative maintenance before and after a demanding work-out or competition. This unique system delivers dry cold and active compression therapy to reduce swelling, minimize pain, prevent greater tissue damage and help promote more efficient healing. This unit can be rented, email for details. Manipulation of the skin and muscles promotes fluid and toxin drainage, loosening of dense connective tissue, and circulation of blood and lymph. Massage can have a sedative effect on the central nervous system promoting the release of tension and stress, both physical and mental, leading to relaxation. Manual therapy also eases pain by stimulating endorphin release, inhibiting muscle spasms and relieving pressure on nerves. 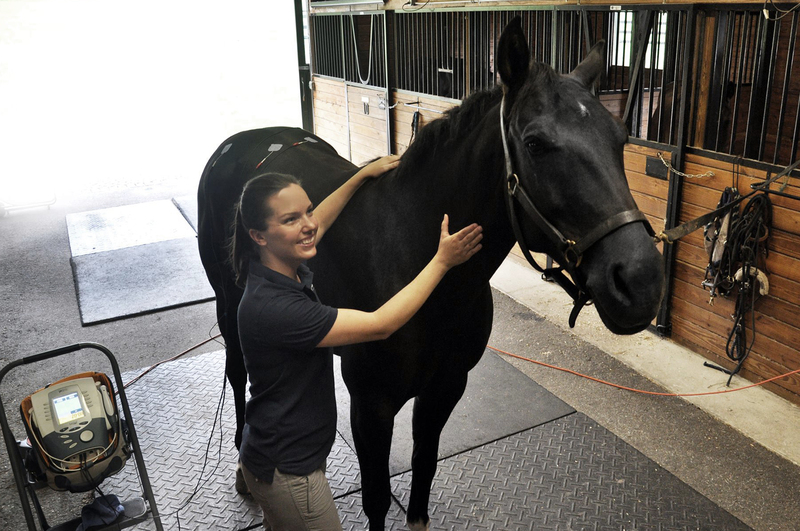 Results Equine Therapy offers full body therapeutic massage with most treatments because we understand that while horses can have a specific issue in one area, they adopt compensatory pain, tension, and imbalanced muscle development in many other parts of the body as well. Stretching improves the elasticity and flexibility of muscles, tendons and joints, allowing for more control and agility during work outs. Both massage and stretching help keep soft tissues and joints healthy. Stretching after warm-up periods improves proprioception and balances the body which can lead to a superior work-out or round of competition. Stretching after a work-out prevents tight, sore muscles allowing for better range of motion overall. It also helps to reset muscle memory and keep a horse flexible and supple from one ride to the next. Results Equine Therapy can help teach you basic stretching techniques to add to your daily routine. Therapy goals are often achieved through multiple sessions over time. Treatments can vary in time and intensity depending on the issues addressed.